Пройти демо-урок Hi everyone, My name is Tatiana Kosteneva- Hancock, and I would like to invite you to study English with me. I’ve been teaching with Za Za school for more than 4 years now. A few words about my background and my teaching experience. I’ve been teaching for more than 30 years now. To start with, I graduated from Almaty University of Foreign languages and translation and started teaching as a secondary school teacher. But that was ages ago. Since then I have taught conversational English for the Engineering staff of the Power Nuclear Plant in Ukraine, have worked with teens for several years as an English Club teacher and Program Director of the International camp Sunshine in the Altai Mountains. After moving to Saint Petersburg, I worked for School Skillset, teaching groups of adults. When in Europe, I lived in Portugal, where I taught English mostly individually for expats from Russia and Ukraine. It was then, when I started collaborating with the school English-Natali. I have been teaching Business English( General Business), Conversational English and English For the Russian State Exams for 9-11 grades of Russian Schools. As for my teaching methods, I can say that I make all my programs tailored for each and every student, so they are aligned with their individual needs. I think I’m a good communicator and can find a way with different people. I’ve got a TEFL certificate from i-to-i , Los Angeles, Loyola Marymount University in 2010. Along with textbooks I pick teaching material from different sources, if I find them useful and up- to-date, so my toolkit is full of various fun techniques. I do love my job, and hope to share everything I know with my students. So guys, you’re very welcome! Пройти демо-урок Hello! My name is Yulia. I'm a certified teacher of English. I have been doing my favourite job for fifteen years, 5 of them here in ZaZa Language School. I graduated the State Pedagogical University of my home city. People sometimes ask me: why do you like your job? The answer to this question is simple and difficult at the same time. I truly enjoy helping people master the new language and I also like using the language myself – communicating with my American and British friends, with my students, reading books, watching films, taking part in projects and conferences. I am a non-native speaker of English but I’ve been abroad. For example, I lived in the USA for a while. Besides being a non-native speaker of English I understand the process of studying the new language from inside. Are you going to travel or live abroad? Are you thinking of entering a university and need to take an international exam like IELTS or TOEFL? Are you in your last year of school and planning to take the State Exam? Would you just like to catch up with the news in the world, understand books, films, songs in the original? Do you feel that everybody around you can speak English but you can’t? If the answer to any of these questions is yes, welcome to my lessons of English where together we’ll find the best way to reach your goal. Пройти демо-урок Hello, My name is Manik. I’m from Armenia. I’ve been teaching English since 2013 and currently I’m living and working in sunny Armenia. I’m TEFL\CELTA certified and I’ve Master’s Degree of Pedagogy in the field of English Language and Literature, which means I’m qualified to teach you English as a foreign and as a second language, but more importantly I’m very experienced having taught student from all around the world at different levels and ages, besides from that I’ve a big passion helping people learn English and I just want to use my experience and skills to help YOU achieve YOUR English goals… I’ve experience in tutoring and I have been working as an online tutor for almost 3 years now. During my lessons I tend to create a positive and supportive environment for my students and motivate them to express their opinions. I believe that when my students enjoy their lessons they truly learn and my aim is to pass on my love for the language as well as the knowledge. I am also a mother. I’ve a son, he is 10. Пройти демо-урок Hello!My name is Nurgul and I am a teacher of English in English-Natali school.I have studied in Charles university for 3 years and hold a bachelor degree in English and humanities.I have over 3 years experience in teaching English and have a solid background in preparing for: 1)General English 2)Business English 3)Marine and Petroleum English Also I prepare for different kinds of exams such:IELTS,TOEFL and USE ( Unified state examination) I teach children and adults and prepare from elementary to advanced levels. What about methods which I use on my lessons I use a complex method for General English it means that: at first we learn grammar rules,then we practise,after we focus on Lexics and we end with conversation. For Business,Marine and Petroleum English,primarily I clarify a student needs and after that we work on it. And what about preparing for exams ,at first I identify a student weak sides and then we work on it for making a progress. So,if you are interested in learning English with me,I will be very glad to help you and we will reach high results.So,see you, have a nice day and bye ! Пройти демо-урок Hello! My name is Maxim. I am from Saint-Petersburg. I work at Zaza language school. This is a perfect school for teachers and students. I studied at the Saint-Petersburg State University, at the courses of the American Language Master and also I have four years experience of speaking with Americans. I have been working as a teacher for five years. I teach a basic English, a spoken and business English. In the business English we will study a general course with appropriate grammar and vocabulary and also we can read and translate many texts to improve your knowledge.When I teach I try to pay attention to all aspects of the language, I mean grammar, words and other specialities. In our school ypu will study English very well owing to our tutors and the system of studying. I hope that I can fit for you and we can work together. Thank you, good bye. Пройти демо-урок Hello, my name is Maria and I welcome you to study English with me at Zaza language School. I was born in Saint Petersburg and graduated from the Herzen State Pedagogical University of Russia, department of foreign languages. I am also a certified TEFL and TKT teacher. I am very passionate about English and I have been teaching it to students of different age groups and different levels for over 8 years not only in Russia, but also in China, where I lived for almost half a year. It's not a secret that English is a must know language nowadays which gives you lots of benefits whether you study it for school, work, business, travelling or fun. Whatever the case it will be my greatest pleasure to help you start learning English or improve the skills, you already have. I'm looking forward to our classes and your new achievements. Пройти демо-урок Hello ladies and gentlemen! Hi boys and girls! Hey guys! Greetings from sunny Crimea and from English-Natali school! 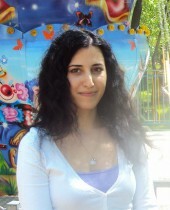 My name is Tatiana, I am a professional English teacher with a teaching experience of over 7 years. Is learning English fun? Is it for work only? Or is it to make new friends globally? Whatever the reasons are, English is a must today. I will make sure to encourage you to be an active and enthusiastic English learner.I love teaching all levels and all ages and I look forward to getting to know you! Пройти демо-урок Hello, dear students! 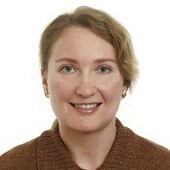 My name is Ms Oksana Seredniak and I have been working with ZaZa school for 3 years. I have always wanted to become a teacher - I was lucky with teachers at school and university - they were my role models, that’s why I decided to become one of them. Languages have always been my passion. This was the area where I was truly successful. Except for English I also speak French, Spanish and some Hindi, as I live in India! I studied philology in Kharkiv National University, named after V.N. Karazin, I also participated in teaching workshops at different points of time. Here at ZaZa I teach General French and English course, Business English (communication skills, presentations, negotiations), I also prepare for TOEFL and IELTS. I have been a teacher for the past 10 years. I have taught in universities, language schools, secondary schools in Ukraine, Belgium and India. During my lessons we will speak as much English or French (I also teach French) as it’s possible. A language can be learnt only through its active usage. My students say that our lessons pass too quickly - we have fun, talk, discuss interesting topics and time just flies! I make sure that we use actual grammar, vocabulary and make fewer and fewer mistakes.We are not only going to speak - reading, listening and writing are as important! We are going to read and listen to different passages during lessons and at home you will practice your writing (which is compulsory).I will provide additional materials such as books and videos, with which you could work on in your free time. I believe that learning can happen only in a friendly and relaxed atmosphere, so please smile, be happy, and I’ll make sure that I’m doing my best! Пройти демо-урок Dear students! My name is Svetlana Sitnikova. I am happy to introduce myself as a teacher of ZaZa online language school. Our school offers you a great variety of language courses, exciting lessons and experienced teachers. I have degrees in teaching, translating, economics and marketing, I hold more than 10 years of experience in teaching English as a subject for students of all ages and all levels, which allows me to teach general English, business English, English on economics. My areas of specialization also include banking, finance and commerce. Personal and systematic approaches form the basis of my teaching process. I use creative ideas that help to make it more interesting and exciting.I invite you to share this wonderful world of the English language. Looking forward to seeing you soon. Пройти демо-урок Hello and Welcome to ZaZa Language School! Let me introduce myself. My name is Olga .I am a qualified teacher of the English language with qualifications and experience to teach many kinds of students. I've been teaching children and adults of all ages and varying levels. This beautiful and really melodious language has always been a big part of my life. In 2006 I graduated from Lipetsk State Teachers Training University. Since then I've been really enthusiastic about teaching English. In my opinion, teaching is one of the best professional experiences. It is rewarding to see how students progress thanks to your help. I understand that every student learns in different ways and so my teaching method depends on your individual needs and skills and goals as well as your level.I believe learning english should ne lots of fun, that's why I always like to get to know mu students and understand their likes, dislikes, hobbies and passions---to create a lessonthat feels unique for them.Apart from teaching, I've received a great experience by working at famous TV channels in the capital of our country, in Moscow. Hope to see you at our classes! Welcome to our school! Пройти демо-урок Hello! My name is Anna and I live in Tomsk, in a Siberian city in Russia. After graduation from Tomsk State Pedagogical University and getting a master degree in teaching general and business English I’ve worked in private linguistic centres and public schools. So I have over 9 years experience in teaching English. And now I am a tutor for ZaZa language school. I have been working both with children and adults of different age groups from elementary to upper intermediate levels. During my lessons I use different methods and resources. With ZaZa school I will be happy to help you to raise your level, to make you more confident in communication as well as with preparation for exams and doing business with foreign partners which we will discuss at the demo lesson. I will arrange our classes according to your interests, needs and wishes. I especially welcome young learners to my lessons. I am looking forward to seeing you at my lessons! See you soon! Bye! Пройти демо-урок Hello! My name is Ekaterina. I’m teaching English and Spanish via Skype. I think that learning via Skype is a very modern and comfortable way of studying. There is no reference to one place, which means you can learn even while you are travelling or on business trip, that the biggest advantage of learning via Skype. Also you do not need to seek for a teacher close to your house (or even in your city) or spend time getting to your teacher. I’ve been interested in foreign languages since my childhood. That’s why at school I’ve decided that languages will become my profession. I’ve graduated Saratov State University, where I’ve received 2 diplomas – of a linguist and of a translator. That’s why I do translations besides teaching. In the University I’ve started learning Spanish which I like very much. My main working principle is an individual approach to each student. Content of every course of study wholly depends on aims, abilities, age, capacities etc. of every student. I pay much attention to audition and reading. I consider reading to be a good way of memorizing new words without cram. Speaking is also very important, so I consider communicative approach to be very important too. That means that you prepare a student for speaking in real life situations (for example, how to ask the way) and you model such situations during the lessons. Course books which I use are: Innovations, Spotlight, Enjoy English, Market Leader, Round Up, English File and others. For reading and listening I use MacMillan Readers books and audiobooks. Courses which I teach: General English, Preparing for exams, including final 9 and 11 grade exams, English for travellers, Business English, Medical English. I consider that every teacher should constantly learn himself, because when you do not learn you devolve. That is why I always learn something new and improve my knowledge of the language. My hobbies are sports, cross stitching, and of course reading books and watching films in English. Пройти демо-урок Hi! My name is Alina and I’m from Russia. I have two majors: linguistics and public relations, but I’m really passionate about teaching. I love sharing knowledge with people, interacting with them, helping them, making them inspired by the language they want to study. I have taught at Universities, language centers, private schools in Russia, Montenegro, Mexico, India. I have acquired TKT (Teaching knowledge test) certificates gaining the highest mark in the test and I keep on developing and trying new forms and methods of teaching finding an individual approach to each student according to his/her needs and expectations, interests and aims. I have a lot of experience working with kids (starting from 3-4 years old), teenagers, adults of different age groups and levels. I have taught Business English (in public relations, marketing and advertising). I have worked for American Councils for international education helping Russian students to go to the USA on an exchange program to live and study there. I believe the most important thing while studying the language is to be in love with it, to be inspired by it, to live it, and let it fill your life in different ways: while reading books, listening to the music you like, watching favourite films, interacting with new interesting people, making foreign friends and learning more about different cultures. I think a good teacher is the one that makes his/her student enjoy the process of learning the language and see the progress every time the student speaks it. Пройти демо-урок Hello, my name`s Olga and I`m from Russia. I live in Ufa, near the Ural Mountains which divide our continent into Europe and Asia, so you could say I live in the center of two cultures. I have a University degree in Romanic and Germanic philology and I have been teaching English as a tutor for more than 10 years. My students are of different age and language skills. Many of them want to study English because of the opportunities it presents to expand their knowledge. Learning English opens up a whole new world where you could travel or even just communicate with new people. You can make friends, find jobs, travelling for holidays or for business, you will be free to express yourself in any way you choose! Come to English-Natali and study or improve your English with us. It`s very easy and comfortable. I will make the curriculum meet your own personal requirements and needs. You will see that studying English is a rewarding and fulfilling endeavor that also teaches you something new and useful! Пройти демо-урок Hello, my name is Marina. I have been teaching English for more than 5 years. I will give you informative and interesting lessons, help you to overcome all the difficulties you meet learning English. I will make you confident in speaking and writing. I make up an individual program for every single student, which is based on their personality, level of speaking, goals and wishes. So, my lessons are completely effective and useful My style of teaching depends on students' needs, but in all lessons I am steadily encouraging you to speak. I teach you to react in different situations, I teach you to discuss various topics, to express your opinion about everything. All the work is oral, no writing in the class. Be ready to some homework to make our lessons more effective! Welcome to my classes, I am looking forward to meeting you! Пройти демо-урок Hi everyone! I’m Yuliya and I’m a teacher here in Zaza language school. I’ve graduated from Kazan State University and got a degree both in teaching and management. I started with giving English lessons offline 6 years ago. Later I had to move to Brazil for a year, and this was how I switched to online classes, which I consider to be the greatest opportunity for those who want to master the language. And let’s face it. What is English now? It’s the door. Once you have opened this door, the whole new world is in front of you. You can travel, you have better career opportunities, you make new friends, and you indeed broaden your horizons. I specialize both in teaching General English and Business English and I can guarantee you that our lessons will be specifically tailored for your needs and desires. Don’t hesitate, book your lesson right now! Пройти демо-урок Учить иностранный язык-очень увлекательное занятие!Если вы настроены учить язык с удовольствием, то вам сюда! Мы вместе со студентом составляем индивидуальную программу, где грамматика, аудирование и говорение доводятся до автоматизма на материале, который интересует именно вас. Темы выбираете вы, а я подбираю для вас видео и текстовые материалы. Вы узнаёте что-то новое, а по пути и закрепляете свои навыки владения английским языком. Учёба становится занятием приятным и полезным, а вы растёте как профессионал! Hello dear students! My name is Christina, and I welcome you to the English classes online with English-Natali school. I have my qualification in teaching English and German and a master’s degree in philology and linguistics. It was 8 years ago when I got my first student and understood I am on the right way to go. I have worked in schools and language centers with students of different ages and levels . And I am more than lucky to have met all those people who I taught English, and even more who taught me how to teach , come up to every student individually with their aims and needs , and their life stories , which you become a part of . Since 2012, I teach English as an official language in India to the kindergarden students and grades 1 to 9, which opens new doors and shows how it works to have students speak from their early years, with English being the aim and the instrument at the same time. I also teach Russian to the English speaking students, making emphasis on communication through grammar as both are very important in learning Russian. I will be very happy to be your guide in learning English, be that General, Spoken or Business English, school or college curriculum you need to be on a par with; or you’re going to travel and do not want to let it go bad not being able to speak the international language. And of course, looking forward to making big friends with young learners and opening colorful pages together! I will do my best to make your journey to English enjoyable, comfortable and fun! Wishing you a lot of patience and good luck : ) Never give up ! Hope to see you soon in our classes! Hello! My name is Ekaterina. I’m from Samara. I have graduated from Samara State University of Culture and Arts. Then, I have been working as an English teacher for 2 years. I love to teach and to guide students in their efforts to improve their English skills. I can work with all different levels and will design lessons based on each student’s needs and goals. For recreation I really enjoy the outdoors, music, dancing, and sport. I look forward to working with you! Пройти демо-урок Hello! My name is Alexandra and I’m a professional teacher of English. I graduated from Pedagogical State University. I have been teaching English for 12 years. I’m an online teacher at ZaZa Language School. Besides I work at the Department of Foreign Languages at one of the universities in my native city. I like my work! I try to adopt different approaches and help my students to make progress in the English language. I give various lessons, which will meet your personal needs. Being a non-native speaker of English I understand the difficulties you can face and I’ll help you to overcome them. You’ll see how interesting it is to study English! We’ll study thoroughly four aspects of the English language: reading, writing, listening and speaking of course. I am looking forward to seeing you at our lessons. Пройти демо-урок Hello to everyone! My name is Irina. I have many interests - music, books, movies. But most of all I love to travel, enjoy beautiful nature and charm of famous cities:) I graduated from Belarusian State University, and have taught general and business English to adult people from elementary to upper intermediate level. My favourite textbooks are “Cutting Edge” (in general English), “Market Leader” and “Intelligent Business” (in business English). Besides that, I use a lot of different materials: videos, songs, newspapers, books, Internet, etc. It helps to “feel” real modern language and learn how to use it in different situations. You will always speak a lot and know something interesting, unusual or funny:) Also I can guarantee very warm and friendly atmosphere on our classes. See you soon! Hello everyone! My name is Julia. I work as a teacher of English in ZaZa school. I got Master’s degree in foreign Philology in 2011. I have been teaching the English language since 2009 and have elaborated my own teaching methods that aim at developing reading, listening, speaking and writing skills. I can teach general English quickly and effectively for those who need the language for studies, self-development, travelling, meeting and communicating with foreigners without any language barrier. I create a friendly atmosphere during my lessons that contributes to the progress of my students. During the lessons I usually use various supplementary materials that maximize the students’ success: audios, videos, flashcards, pictures and others. I am ready to teach the students of all ages and levels. I am keen on my profession and I will help you feel positive about English as well. I am also fond on reading foreign literature, translating and getting new knowledge in my field of activities. I promise to unveil you all the secrets of this magic language and make the learning process fascinating and cheerful. I will do all my best to meet your expectations and help you master your language skills successfully. So don’t miss your chance! Hi, my name is Karina and welcome to ZaZa School, which offers you a great opportunity to learn English online. I’ve been teaching English as a second language for over ten years. I’ve lived in United States and I have experience in preparing students for TOEFL testing I can help my students overcome language barriers and become confident English speakers. You can choose general, conversational or business English and sign up for a free demo lesson with me. We will set up goals for you to reach and become confident in speaking English. Good Luck and See You Soon! Hi, My name is Tatiana. My teaching experience is over 30 years, I have worked in Russia, Germany and France. I teach Conversational and Business English, I also prepare students for national and international exams. My lessons are based on communicative approach. I develop my lessons the way to ensure that my students could practise all major language skills: speaking, listening, reading and writing. At the lessons students mostly practise speaking and listening. My speaking lessons are based on a wide variety of topics aimed at developing functional language and promoting discussion. Students learn realistic, whole language. I teach my students to use English free, spontaneously in different social situations. I make sure that all my students get a personal approach, and that my lessons are tailored to meet their needs and demands. So, one day I hope to see you among my students. Take care! Пройти демо-урок Доброго времени суток, дамы и господа! Меня зовут Елена. В течении последних 7 лет я занимаюсь преподаванием английского, китайского языка и русского как иностранного. С уверенностью могу сказать, что в разных странах на английском языке говорят по-разному. На сегодняшний день у меня большой опыт обучения людей разных возрастов английскому языку, и я с удовольствием поделюсь с Вами своими знаниями и секретами. У меня есть опыт в работы в таких компаниях, как Ягуар, где я занималась разработкой занятий по индивидуальному заказу. Я так же проводила корпоративные тренинги по обучению персонала китайской нефтяной компании Sinopec Corp в городе Пекин. Буду рада, если мои знания будут полезны Вам в изучении английского и китайского языка! Пройти демо-урок Hi! 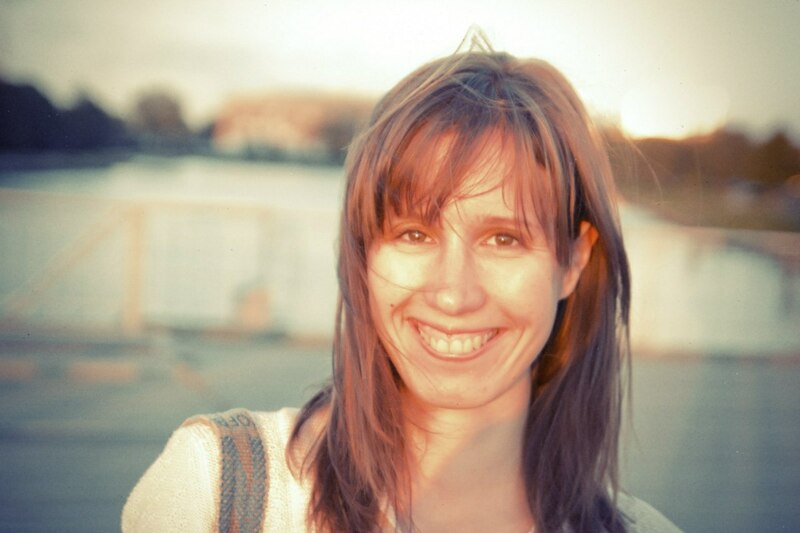 I am Ilzida, I work for Zaza Education. I am a professional English teacher. I have been teaching English since 2012. I really enjoy it! I’ve taught it in public and private schools and language centres of Russia, Brazil and Vietnam. I’ve also had a great chance to teach Russian in Poland for few months. I have experience working with all the age groups (from kids to adults) and I teach both General and Business English. I can undoubtedly say that speaking English is one of the essential skills in our century. It gives you lots of opportunities for travelling, studying, working, making friends and discovering your own abilities. Are you ready to take a leap?